Direct Relief is an award-winning nonprofit providing critical health care, supplies, and monetary support to people facing poverty and emergencies around the world. Alley and Direct Relief worked together to design a site that uses storytelling to convey the organization’s impact and increase donor engagement. Today, visitors can see real-time data on shipments through an Aid Tracker and the Direct Relief team can rapidly release modular campaigns to accept donations in the wake of disasters. 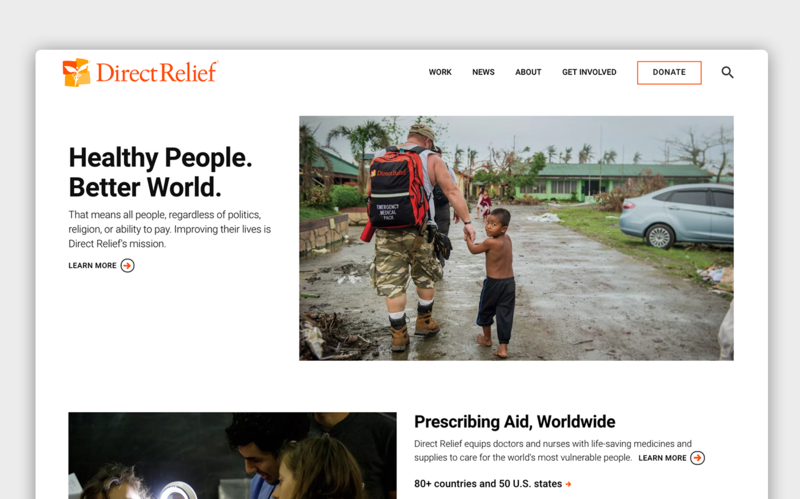 Acting as a publisher, Direct Relief uses a number of integrations such as Google AMP, Facebook Instant Articles, and Blackbaud to help stories reach their audience in numerous ways.